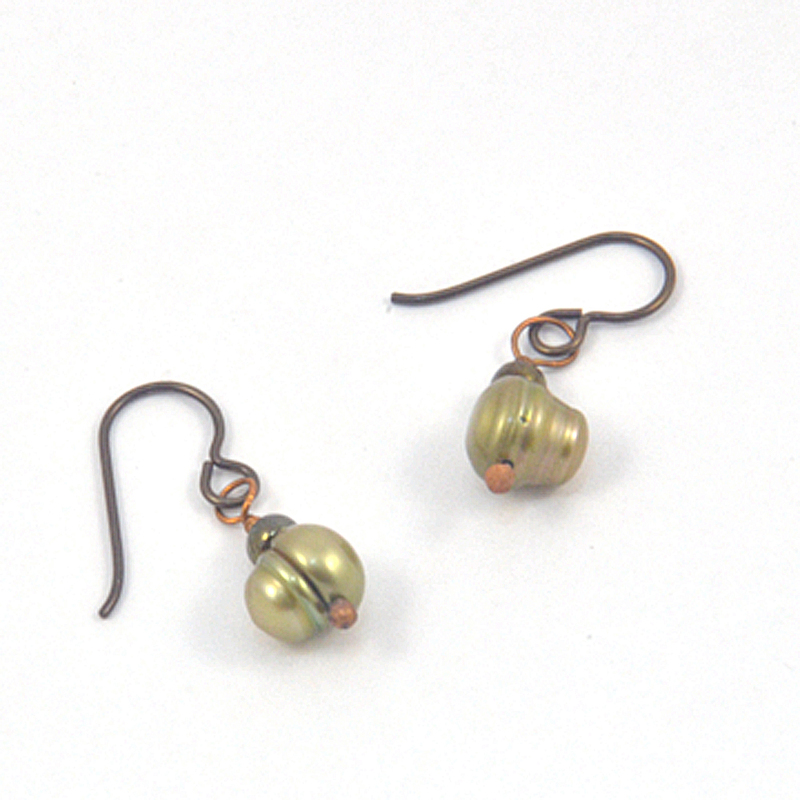 Beautiful and unique green pearl dangle earrings represent balance, nature, hope, growth, and renewal. 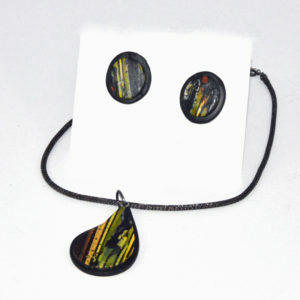 The dangle is 3/4 inch and the niobium French ear wires are hypoallergenic. The beautiful and unique color of green pearls represent balance, nature, hope, growth, and renewal. These pearls dangle from hypoallergenic niobium French ear wires. 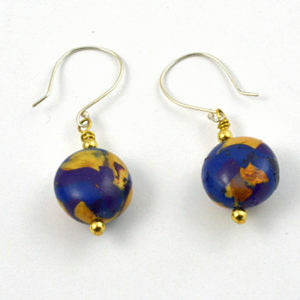 They dangle about 3/4 inch making a comfortable classic looking earring. The shape of these green pearls is often referred to as ‘potato’ pearls. A ring around the center divides a fuller top from a smaller bottom of the pearl. 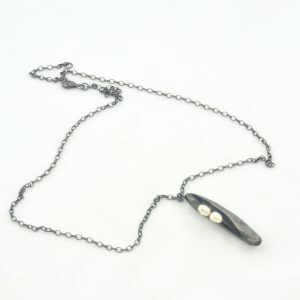 These pearls shine and reflect and show off the lustre nicely. 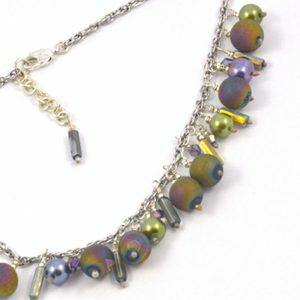 The wide range of colors in pearls make them a versatile gem for jewelry.